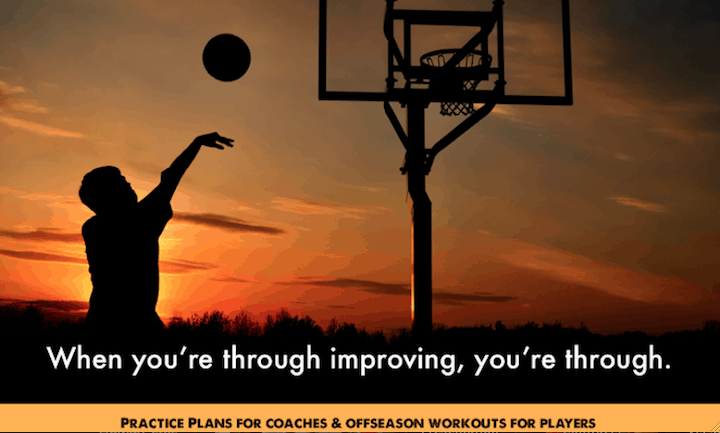 You’re on Basketball Quotes (Main Page with Menu) Page 1 of 27. These quotes can serve as great motivation to athletes and coaches of all ages. These inspiring sayings are sorted alphabetically by the author’s last name. You’ll find motivational quotes, funny, famous, and inspirational quotes. If you have an addition you’d like to share, please submit them through our “Contact Us” page. Also, check out our basketball slogans and sayings. Fans never fall asleep at our games, because they’re afraid they might get hit by a pass. Life is not about waiting for the storms to pass; it’s about learning how to dance in the rain. Losers quit when they’re tired. Winners quit when they’ve won. Don’t be afraid to ask dumb questions. They’re easier to take than dumb mistakes. The reason we win games is not typical of a top 5 team. We’re winning on execution and heart and guts and playing smart. You know how I learned to shoot? I watched white people. Just regular white people. They really put their elbow in and finish up top. You can find videos of them online. Some say you have to use your five best players, but I found out you win with the five that fit together best as a team. I don’t hire good coaches, I hire good people. If they turn out to be good coaches, too, that’s a plus. I know that I’m never as good or bad as any single performance. I’ve never believed my critics or my worshippers, and I’ve always been able to leave the game at the arena. What you specifically teach is what your players will do best. Practice to beat the best. Criticize on defense and encourage on offense. If you want team play, you must stress defense. Defense makes players unselfish. The trouble with officials is they just don’t care who wins. A guy who gives you less than what he has to give is, one, telling you what he thinks of you, and two, telling you what he thinks of himself. The two ingredients in success in basketball are playing hard and playing intelligently. I don’t try to get players emotionally up for a game; it creates too many peaks and valleys… I strive for even keel; they will get up for the big games. Success doesn’t stop when you get there. To be a great teacher of the game you must study the game; know your craft & be proud of your knowledge; but never satisfied with your knowledge. To be great we need to win games we aren’t supposed to win. Sometimes this thing becomes bigger than life itself. It isn’t. Basketball is like photography, if you don’t focus, all you have is the negative. Not only is there more to life than basketball, there’s a lot more to basketball than basketball. You can’t be afraid to fail. It’s the only way you succeed…you’re not gonna succeed all the time, and I know that. Sometimes, adrenaline flows into momentum. The key is not the “will to win” – everybody has that. It is the will to prepare to win that is important. One day of practice is like one day of clean living. It doesn’t do you any good. You always have to give 100%,because if you don’t someone, somewhere will give 100% and they will beat you when you meet. I never thought I’d lead the NBA in rebounding, but I got a lot of help from my team-mates – they did a lot of missing. Help one kid at a time. He’ll maybe go back and help a few more. I don’t discuss basketball. I dictate basketball. I’m not interested in philosophy classes. To win, you’ve got to put the ball in the macramé. 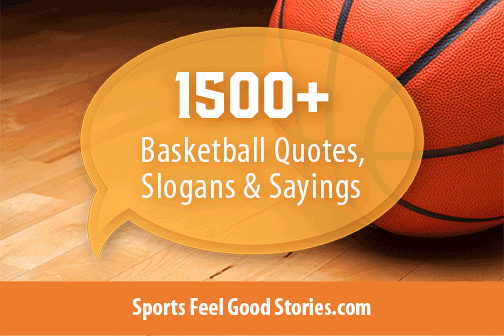 Tip: Use these basketball quotes for team communications, photo captions on Instagram, in season ending programs, and more. 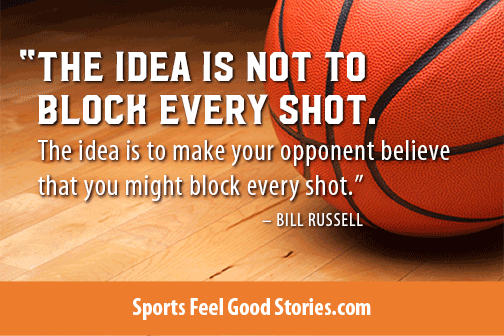 In practice, don’t just run basketball drills, teach the players how to play basketball. 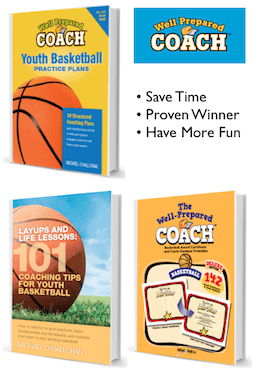 There is nothing more important than rebounding…don’t just give it lip service. Play off your great player… great teams have a go-to player and they play off of him. Prepare for every practice like you just loss your last game. 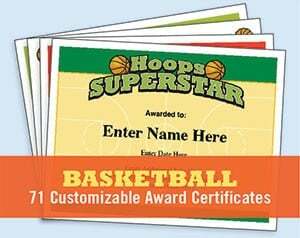 I learned at a young age to dribble with both hands, and that allows me to be more creative when I go against bigger and stronger opponents. Play the game with a smile. It’s what you get from games you lose that is extremely important. In all the research you do as a coach, studying other coaches and championship-type situations, you find that all those teams combined talent with great defense. You’ve got to stop other teams to win. You’ve got to learn the footwork, the positioning, how to box out, how to pass, how to shoot your free throws. All these things are necessary, not to be the No. 1 player in the world, but maybe you can play against him. Other people go to an office. I get to coach. I know I’ve been blessed. These inspirational quotes can be used for girls or boys teams, on posters and banners and in locker rooms. Confidence is a lot of this game or any game. If you don’t think you can, you won’t. When it’s played the way is supposed to be played, basketball happens in the air; flying, floating, elevated above the floor, levitating the way oppressed peoples of this earth imagine themselves in their dreams. You can run a lot of plays when your X is twice as big as the other guys’ O. It makes your X’s and O’s pretty good. If you have any suggestions, please let us know via the Contact page. Thanks!